GrabiQ is an exciting new family of alloy chain sling components. Chain slings used to be built with many components, each one doing a separate job. That made chain slings heavy, bulky and expensive. With GrabiQ, a single component can perform up to three separate functions. 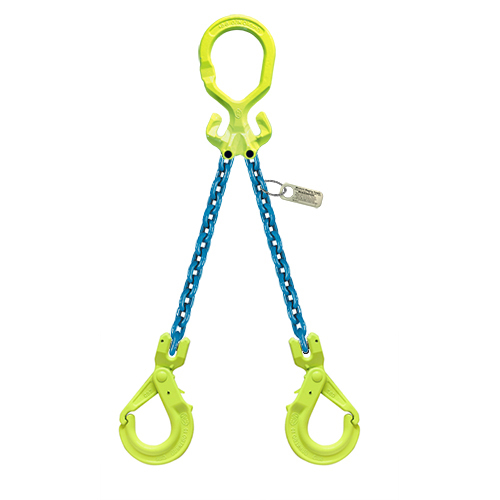 For example, a Master Grab serves as the master link, connecting link for the load chain and as the shortening hook for adjustment of the chain (available as "MG" for single leg chains or "MGD" for double leg chains). Building the same chain sling using "old style" components would result in using up to seven top rigging components instead of just one.